SACRAMENTO, Calif. (AP) — The California Assembly on Thursday rejected Gov. Arnold Schwarzenegger's pick for lieutenant governor, setting up a potential legal showdown after the governor said he would attempt to seat his nominee despite the vote. The 37-35 vote in the Assembly, four shy of the simple majority needed, followed a relatively quick vote in the Senate to approve the nomination of Republican state Sen. Abel Maldonado of Santa Maria. 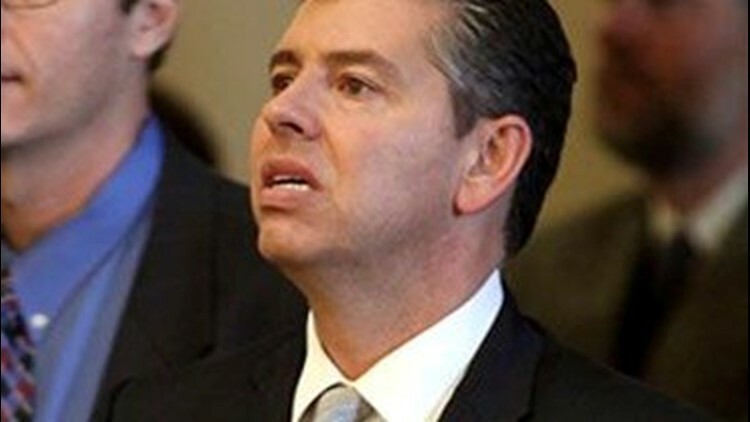 Confusion over Maldonado's ultimate fate followed the Assembly's action. The governor's office said it believes Maldonado's nomination would fail only if a majority of the Assembly — or 41 lawmakers — voted to reject it. The Assembly speaker's office issued a different opinion that said he could not take office. It cited a 1988 opinion from the Legislative Council's Office saying nominees need at least 40 affirmative votes in the Assembly. Schwarzenegger's legal secretary, Andrea Lynn Hoch, issued a statement after the Assembly vote saying, in part, that Thursday's action does not legally constitute a "refusal" to confirm. "Based on the Assembly vote, Senator Maldonado will be sworn in as Lieutenant Governor," her statement said. The governor's office already was making plans for a swearing-in ceremony that could be held as early as Feb. 23, spokeswoman Rachel Arrezola said. That prompted a response from John Perez, D-Los Angeles, the incoming speaker of the Assembly. In a statement, Perez criticized Schwarzenegger for defying the Assembly's vote. "I want to be clear: this nomination failed confirmation," Perez said. "The governor's assertions to the contrary show that, once again, he thinks he can impose his will on the Legislature, no matter what the Constitution or common sense says on the matter, and his assertions will not undo the fact that Senator Maldonado did not receive the majority of 41 votes in the Assembly for confirmation." He urged Maldonado to resign his Senate seat if he felt that his pending swearing-in as lieutenant governor was on firm legal ground. Whatever the outcome, Thursday's events underscored how difficult it has become to reach consensus in the California Legislature, not to mention the strained relations between Schwarzenegger and certain lawmakers. Maldonado's confirmation required just a simple majority vote. The vote was seen as a test of whether a Legislature that has fallen into public disfavor had any ability to compromise. The reason: Maldonado is a member of the minority party, but he also is among a small group of moderate Republicans who occasionally will work with Democrats to pass budget bills, even those that include tax increases. Yet even the Assembly's Democratic leaders, Speaker Karen Bass and incoming Speaker John Perez, voted against the nomination, votes that are sure to anger Schwarzenegger. The Assembly speaker is one of the key negotiators on the state budget. "So much for bipartisanship. Today it died in the state Assembly," said Assemblyman Jim Nielsen, R-Yuba City. "The people are rightly angry at this institution." The floor debate in the Assembly showed that lawmakers can't even agree on what constitutes bipartisanship. Assemblyman Sandre Swanson, D-Alameda, said Schwarzenegger's selection of Maldonado was a cold political calculation to reward a lawmaker who has helped him in the past. Maldonado intends to run for the lieutenant governor's seat in this year's election, and making him the incumbent will give him an advantage over others seeking the post. Swanson and some other lawmakers said it would be better to simply leave the post vacant until the voters have their say in November. "The governor should send us a candidate who's only interest over the next 10 months is to serve the state and is not distracted by the politics of the ... season," he said. Even a handful of Maldonado's fellow Republicans opposed his nomination, in part because he voted in favor of an emergency budget fix last year that raised the vehicle license fee and the personal income and sales taxes. If he is seated, Maldonado would fill the position that has been vacant since Democrat John Garamendi won a congressional seat last November. The 42-year-old son of farmworkers would become the highest-ranking Hispanic in state government. In a brief appearance after the vote, Maldonado said merely that he wanted to thank fellow lawmakers "for their support today." He then left the room without taking questions from reporters.